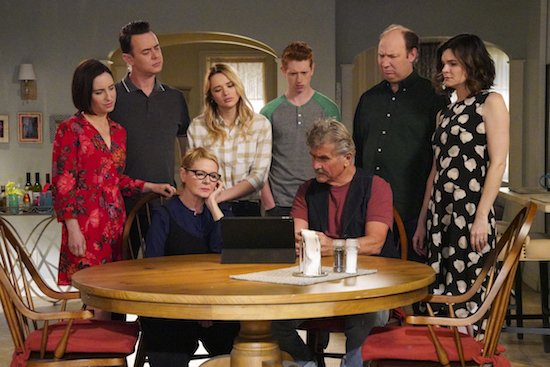 LIFE IN PIECES will launch its fourth season in April, CBS announced. 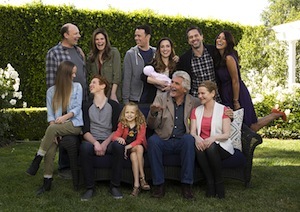 CBS is introducing a new family comedy series, but it has a twist: LIFE IN PIECES tells four separate stories in each episode…but they all are centered around one extended family, and the very separate relationship stages its members are in. John and Joan are the long-married parents of three adult children: Heather, the eldest, is married to Tim, and they have three kids of their own; Matt is the middle child, and he’s in a new relationship with Colleen (who still shares a home with her ex-fiance); and the youngest is Greg, who just had his first child with his wife, Jen. In addition to the show’s unique storytelling format, the series is also getting a plum launching pad — it’s airing after THE BIG BANG THEORY. Cabral’s co-star, Betsy Brandt (Heather), echoed that it was the show’s unique angle that helped draw her to it. LIFE IN PIECES is getting the coveted post-THE BIG BANG THEORY slot.